Cypress, CA (March 23, 2017)—Lafonn, the brand known for luxury within reach, has grabbed two honors in the 2017 JCK Jeweler’s Choice Awards. Now in its tenth year, the awards are given in multiple categories. Both of Lafonn’s wins are in the “Lab Grown Gemstone” category, further anchoring the brand’s position as a market leader in this category. Lafonn’s Heritage Ring is the winner in the “Lab-Grown Diamond and/or Gemstone Jewelry: Under $1,000” category. The winning ring features a rose cut, cushion shaped simulated diamond with a halo of lab-grown baguette sapphires for $330 MSRP. The Pave Glam Bracelet is the second place finalist in the “Lab-Grown Diamond and/or Gemstone Jewelry: Over $1,000” Category. The finalist bracelet features 1,288 simulated pave diamonds set in an Art Deco inspired design for $1,115 MSRP. “We are honored to win these awards; the recognition is very special to us because our jewelry industry peers chose Lafonn with their votes.” – Molly Wang, CEO of Lafonn. The winning styles will be on display at the 2017 JCK Show in Las Vegas, June 5-8, in booth B13171. Cypress, CA (February 5, 2017)—Lafonn scored major screen time during the 24: Legacy premiere Sunday night after the Super Bowl when lead actress, Miranda Otto, sported the brand’s ARIA Citrine necklace. The Lafonn necklace plays an integral part of the two-night premiere. In FOX’s much-anticipated 24 reboot, Miranda Otto plays the former director of the CTU (Counter Terrorism Unit), and wears a Lafonn ARIA necklace featuring a romantic, emerald-cut citrine embraced by a halo of simulated diamonds. The $265 MSRP necklace is available at authorized Lafonn retailers and preciousaccents.com. 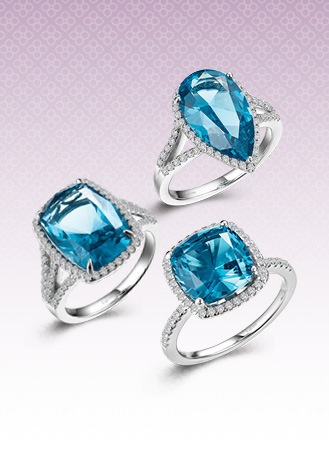 Lafonn’s ARIA Collection is crafted with Genuine Gemstones and Lassaire® Simulated Diamonds set in Sterling Silver bonded with Platinum or 18K Gold. LAFONN named 3rd TOP-SELLING BRAND, on the heels of Pandora and Gabriel & Co.! The season of Giving Thanks is upon us. What better way to celebrate than to be recognized as the 3rd Top-Selling Brand by our retailers and INSTORE Magazine. We’re in great company and on the heels of major brands like Pandora and Gabriel & Co.! What a major milestone for the Lafonn brand during our 5th Anniversary year! We are continually humbled by your support and enthusiasm for the brand. It is our pleasure to serve the jewelry industry. The special Fifth Anniversary Collection features Lafonn’s exclusive simulated diamond in frameless designs, showcasing the superior beauty of the Lassaire® stone. Necklaces and earrings are set in Sterling Silver bonded with Platinum and 14KT gold, from $85 MSRP. Lassaire® In Motion is more about what isn’t there as opposed to what is. With the absence of a traditional setting, the eye is drawn to the superior beauty of the Lassaire® stone. LAFONN VOTED AS “BEST NEW SUPPLIER” 2ND PLACE BY INSTORE READERS - THANK YOU!!! MORE INSTORE READERS chose Stuller than any other company as their best new supplier in 2016. Tied in second place were Gabriel & Co., Lafonn and Midas Chain, followed by Simply Diamonds, alone in third place. “It’s hard to beat Stuller,” noted one of the 375 owners and managers who answered the question, one of 75 in the 2016 Big Survey, whose full results will be published in the October issue of INSTORE. This is the 10th annual Big Survey, in which INSTORE polls nearly 700 owners and managers of jewelry stores in the U.S. and Canada, asking questions that range from total revenue to totally embarrassing scenes they’ve found their employees in. THANK YOU for giving Lafonn the ultimate compliment – recognition as a “Best New Supplier” in the annual INSTORE Magazine Big Survey. At Lafonn, we know that the heart of our brand is our team. We take great pride in assembling a talented team with a heart for service and leadership. We strive to bring you the best brand experience and are continually looking to improve. Please feel free to get in touch with your regional territory manager or our customer care team if we may assist you in any way. As always, thank you for your loyal patronage to Lafonn. It is our pleasure to serve the jewelry industry.